Juice detox is a controversial subject that many health authorities disagree on. Some say there’s no benefit to it, but other proclaim that it’s a miracle cure. As always, the truth lies somewhere in the middle, but there’s certainly no harm in the overconsumption of fruits and veggies! What’s the Deal with Juice Diets? Juice detox (or cleansing) is a diet consisting mainly or exclusively from juiced fruits and vegetables. The detox routine is usually performed for three days, after which a person can carry on eating a normal, hopefully healthy, diet. Some employ them to detoxify their body, while others like them for their weight loss potential. Some people feel much better on a juice diet than on their usual modern diets, which consists of unhealthy fast food and loads of sugar and caffeine. Juicing is becoming more and more popular, and with 65 percent of Americans suffering from obesity, many view juice cleanses as a quick fix for their health issues. But is that really so? The consumption of fruits and vegetables certainly is a healthy habit. However, they need to be a part of a balanced diet, not the only things you eat. Why cleanse then? Well, this is the reason why many are skeptical about cleanses. 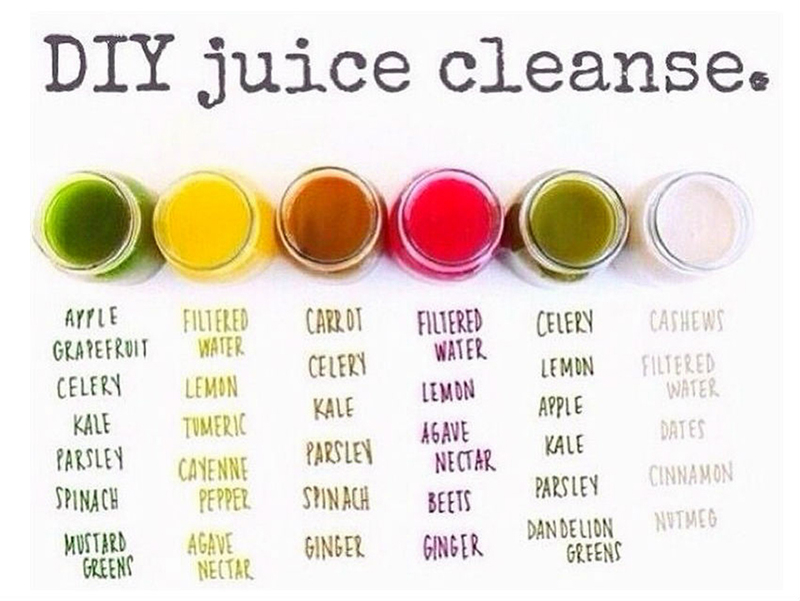 They claim that your body is detoxifying itself all the time anyway, so there’s nary a benefit provided by these cleanses. But when you’re on your juice diet, you’re not actually ingesting any of the bad stuff you usually do! Instead, you’re literally bombarding your body with a surge of healthy vitamins, minerals, antioxidants and fibers that have a rejuvenating effect on your body and mind. They also taste great, which is another mood booster. It’s likely the reason many people feel a lot better on these diets – they lacked the necessary nutrients in the first place. Juice detox will lower your total cholesterol level, although it will bounce back if you revert to an unhealthy diet. Weight loss is also observed, since during the detox much less calories are ingested. Also, there is evidence that fasting in general is very healthy for humans, and a juice cleanse diet is exactly that. Not only that, but juice diets are an important catalyst that shifts you away from your unhealthy eating habits. Once you taste the greatness of the fruits and veggies, you’ll find it much easier to stay health-conscious! There are some ground rules for an effective juice cleanse. NEVER buy those cheap, pre-packaged sugary drinks that stores claim are “juices”. They’re not! At best, you’re drinking concentrated juice from years-old fruit with added water and sugar. At worst, all you get is fruit flavor, with nary a trace of the fruit! Ouch! Instead, you should opt for freshly squeezed organic juice from naturally grown fruits and vegetables. Only then can you be certain that what you’re getting are real nutrients, instead of processed junk food! If you find it difficult to buy and juice all that fruit and veg yourself, there are some services that can deliver freshly made juice – to your doorstep! Remember to use a variety of fruits and vegetables during your cleanse to ensure you get an adequate amount of every nutrient. Avoid only some fruits that can cause issues with certain medications. The most common offender is grapefruit, so it is safest to avoid it if you’re taking any medication. The cleanse is performed for three days to a week. Three days is adequate for a first-timer. Cleanses aren’t easy! Some advocate a pre-cleanse phase that includes giving up sweets and soft drinks in the days preceding the cleanse (although that’s a good tip in general). The cleanse usually consists of taking a glass of juice every two hours, along with water, if desired. This means 6 to 8 glasses of juice daily. It is optimal to juice more vegetables than fruits, to avoid making juices too sweet and ingest excessive sugar. We suggest a 3:1 or even 4:1 ratio in favor of vegetables. But you’re always free to experiment with various combinations to find out what you like. Remember, don’t turn this into an arduous habit. It’s supposed to be both healthy and fun! When properly done, juice cleansing can bring great benefits. It will make you feel better and let you live a healthier life. And who knows, you might develop a craving for more fruits and vegetables. That’s a win-win in our book!